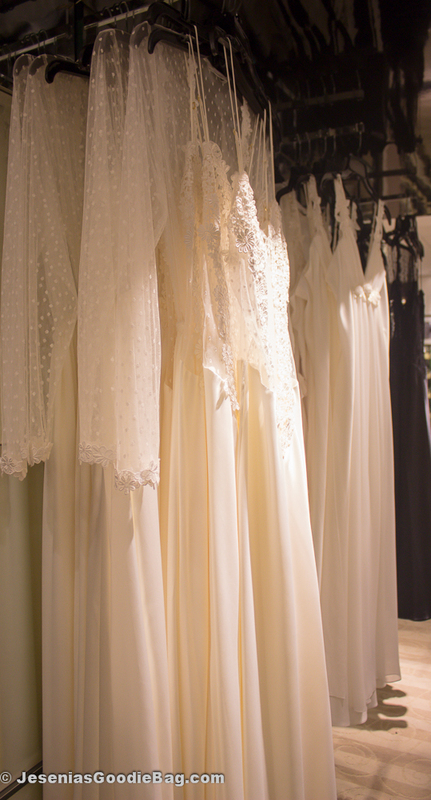 She’s the Vera Wang of luxury intimate apparel. Designer Flora Nikrooz doesn’t need the likes of supermodels to endorse her collection. From fabric quality to precision in design, we can trail her prestige right into the Big Apple as Flora Nikrooz collections are made in New York. 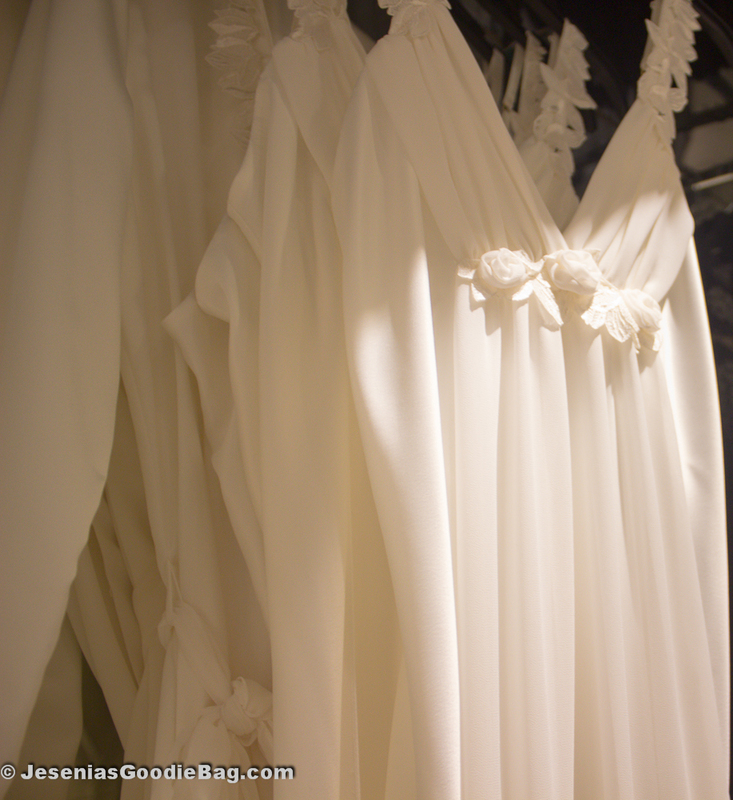 A pioneer in fashion, Flora Nikrooz was the first to design Bridal Sleepwear. Her reputation for red carpet worthy bedroom attire continues to flourish in SAKS Fifth Avenue, Bloomingdales and Lord & Taylor. 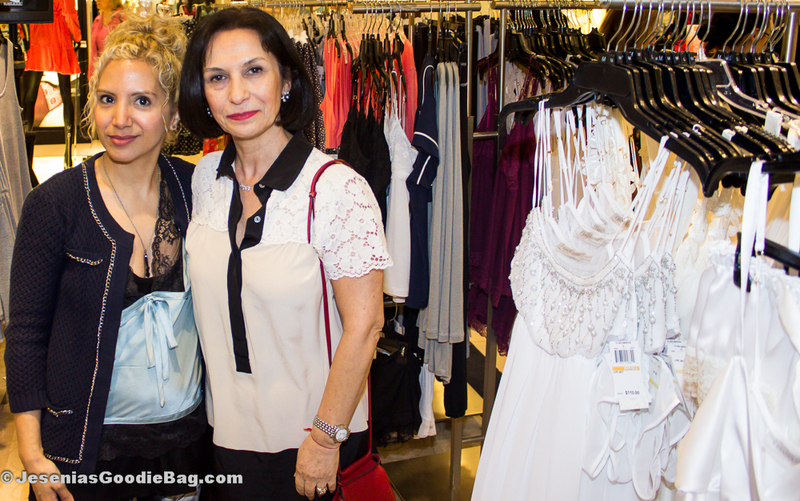 The inspiration behind her Spring 2013 collection is quite simply “Romance,– always alive and always will be.” Flora tells Jesenia’s Goodie Bag. Flora Nikrooz sleepwear and daywear illustrated bridal, baby doll, chemises, teddies and jammies with matching undies in coral-pink chiffon, a slew of silk numbers in pink lace with solid black, cream and coral-pink lace over pale pink, pearl accented whites, ivory to white with floral lace in pleat or beading, and elegant silk robes. Floral and lace also came in sleek monochrome lingerie gowns. Tantalizing our taste buds were model-type busboys serving light bites and Rose champagne. Light bites and Rose champagne.